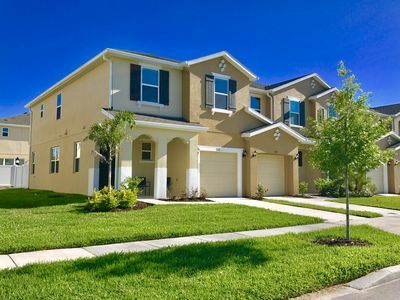 5 bedroom, 5 bath property. 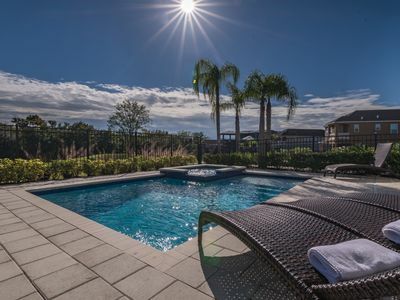 After an energetic day exploring the sights and sounds of this magical playground you can return home to your own pool and spa area, or relax in front of the 50 inch TV. 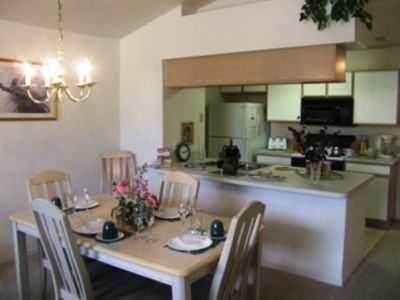 This property also benefits from a fully equipped kitchen that is ideal for preparing a family feast or a light snack. 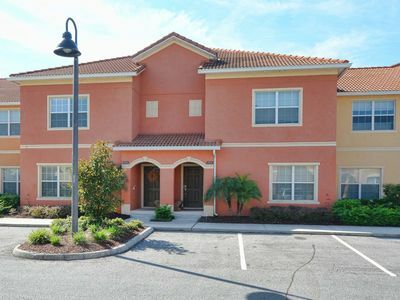 3 king bedrooms and 2 twin rooms all with their own private bathroom and televisions with DVD players attached. 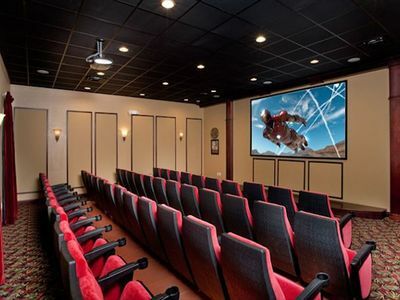 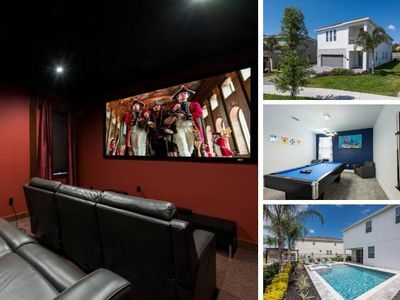 The property also has its own game room which includes a top of the range pool table and air hockey along with a PS2 and a 52 inch TV to play it on. 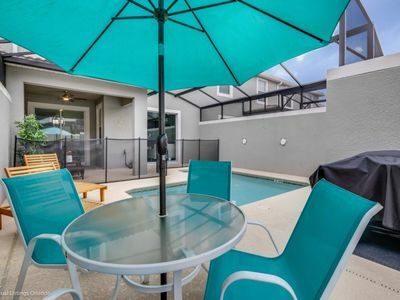 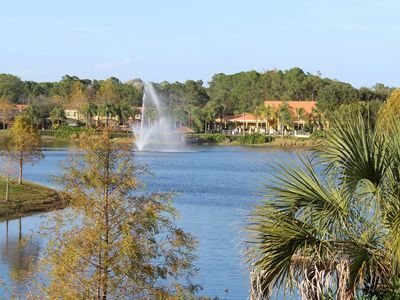 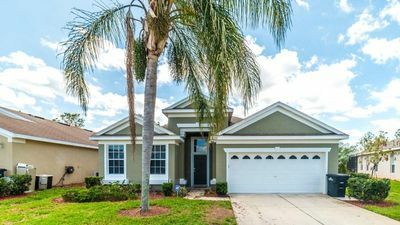 4 BR-near DISNEY - Incredible LAKE VIEW - Private pool & more! 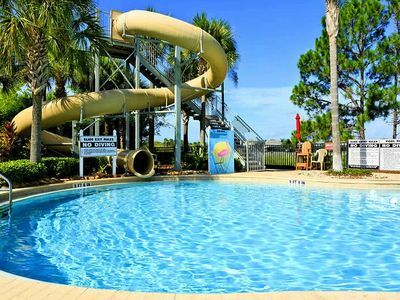 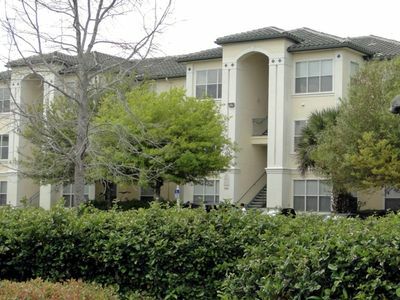 (3OWT75BW25) PERFECT LOCATION AND GREAT RESORT AMENITIES! 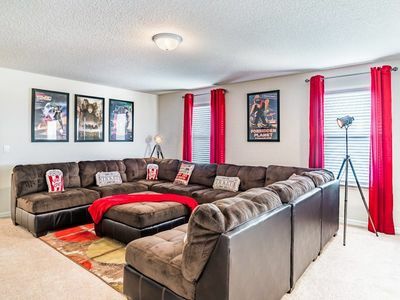 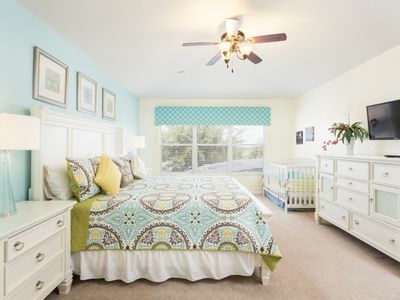 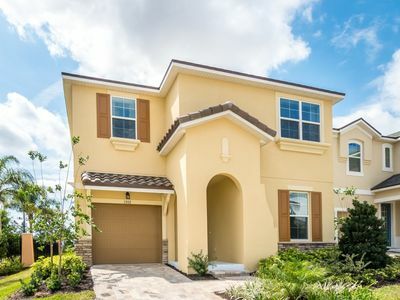 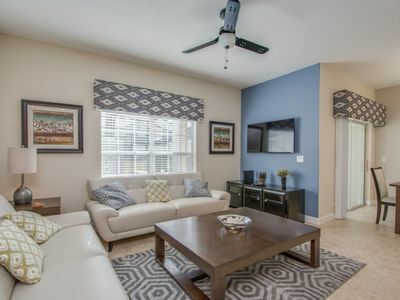 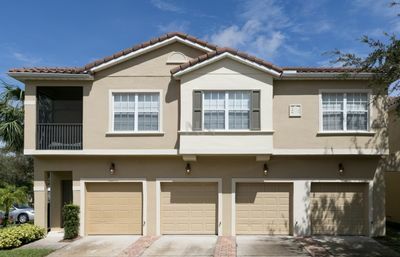 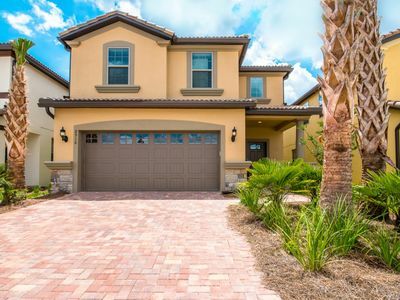 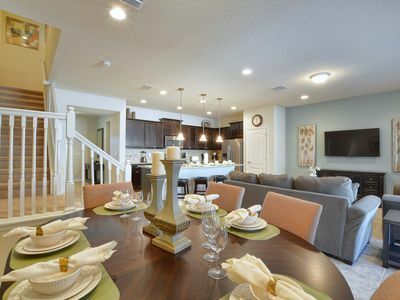 Upgraded luxury vacation townhouse near Disney attractions! 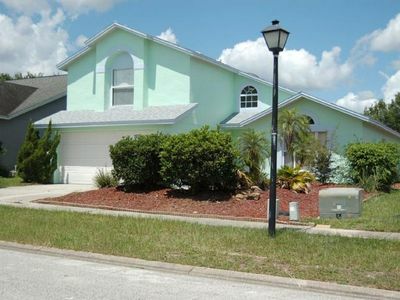 4 bed 2.5 bath vacation home with Private pool.